Ubisoft's executives can heave a sigh of relief this week, with the years-long threat of a hostile takeover by Vivendi finally being lifted - thanks to an agreement which will see the conglomerate selling all of its Ubisoft shares (and agreeing not to buy any more for the next five years). Vivendi may not have acquired its target, but it's been a profitable venture nonetheless; shares which it bought for about €0.75 billion over the past few years are being sold off for around €2 billion, with Ubisoft buying back a fair chunk of its own stock as well as welcoming in some new "long-term" investors. It's good news for Ubisoft; while the threat posed to the company's culture and creativity by Vivendi may have been over-egged, it's tricky for a company to stay focused on its core mission with a hostile takeover threat looming. It's to the credit of Ubisoft's management and staff that they've had a fairly excellent run even while Vivendi was breathing down their neck. "It's to the credit of Ubisoft's management and staff that they've had a fairly excellent run even while Vivendi was breathing down their neck"
Indeed, the quality of their release slate - even bringing the Assassin's Creed series back from the snapping jaws of franchise burnout - has undoubtedly contributed to their ability to see off Vivendi's threat and attract less predatory investors instead. What's really interesting about this story - with all due apologies to the Guillemots, who undoubtedly feel that having the hostile takeover threat lifted from their company is about as interesting as things can get - is the identity of one of those new, long-term investors. Chinese firm Tencent is taking a 5% stake in Ubisoft, a pretty significant investment (though not significant enough to earn the company a seat on Ubisoft's board of directors) which adds yet another string to an already formidable bow. A giant in its own right in China thanks to the WeChat messaging platform, Tencent has gradually turned itself into one of the biggest companies in video games through strategic investments and acquisitions in firms across the industry. Tencent's 5% stake in Ubisoft will be joining a portfolio that's already full of some of the biggest names in games. A rough bit of accounting suggests that the firm owns a little under 5% of Activision Blizzard (also acquired from Vivendi, back in 2013), just under half of Epic Games, around 15% of Glu Mobile, 20% of Pocket Gems, an unspecified minority stake in PlayerUnknown's Battlegrounds publisher Bluehole, and 9% of Elite: Dangerous developer Frontier Developments. Additionally, it's the outright owner of Clash of Clans developer Supercell and League of Legends creator Riot Games, alongside its own substantial (but almost entirely China-focused) development and publishing operations. Tencent's rise to being the quiet giant that owns such a significant chunk of the games business hasn't entirely been uncontroversial - Chinese players in particular have often attacked the company for its business strategies, such as reportedly removing Rocket League from Steam in China when it struck a deal to launch a free-to-play version of the game on its own rival WeGame platform, or pushing out a mobile clone of PUBG called Glorious Mission for the Chinese market well ahead of PUBG's own recent mobile launch. "By and large, Tencent seems to be a benign and helpful partner to the companies in which it has invested"
By and large, though, it seems to be a benign and helpful partner to the companies in which it has invested. There has never been even the slightest rumble of discontent from Supercell or Riot regarding their parent company, or from Epic regarding their largest shareholder - even though via Epic and Bluehole, Tencent finds itself invested in both sides of the Fortnite / PUBG online gaming battle (not an unfamiliar space for a firm which is also invested in both Riot Games and Blizzard). The Ubisoft deal seems like it will be typical of Tencent's dealings with overseas firms to date. A minority shareholding suits the company fine; there are actually safeguards in its contract with Ubisoft preventing it from increasing that shareholding, but the past seven or eight years of Tencent's history suggests that it's perfectly relaxed with remaining in a minority position anyway. 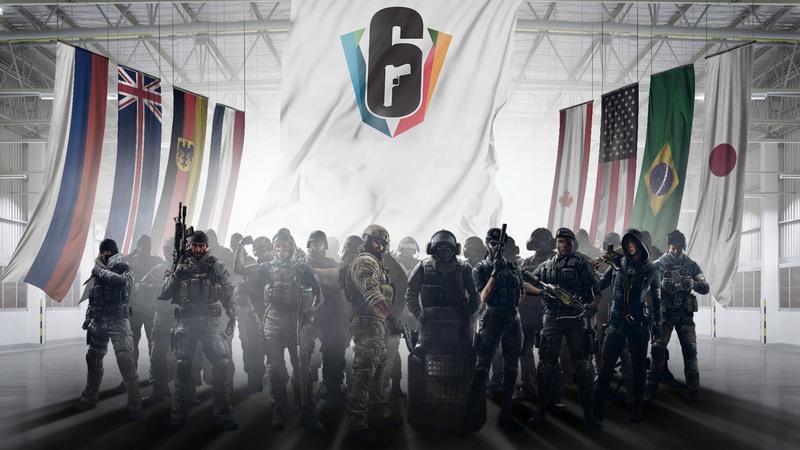 However, it intends to work with Ubisoft to bring the company's games into the Chinese market, which is potentially a hugely lucrative deal for both sides. Accessing the Chinese game market remains a fraught task for most companies; a deal with a local operator is pretty much essential, not only legally but also in order to navigate the tricky regulations and customs surrounding content, online services and so on. "Tencent is comfortably within the top 10 tech companies by market cap globally, and it's starting to run out of room to grow within China"
Ubisoft's titles, notably the Tom Clancy related IPs, could be excellent fits for the Chinese market, in which competitive online titles and eSports-esque games flourish; with Tencent behind them, they have a far better chance of doing well. In this sense, the 5% shareholding starts to look a little like Nintendo's minority position in its mobile gaming partner DeNA; a shareholding significant enough to indicate its seriousness about the business relationship, rather than a straightforward investment. That would be par for the course for Tencent; its arrangements with Activision Blizzard (for Call of Duty Online) and with Bluehole (for PUBG) essentially run along the same lines, with a fairly substantial shareholding serving to underline a major deal to bring an online franchise into the Chinese market. Thus far, it's possible to frame everything Tencent has done as being designed to lock down relationships with major companies overseas in order to use them for competitive advantage within China. That's made these deals truly win-win for the companies involved; they get an excellent, heavyweight business partner in the tricky Chinese market, and a well-behaved long-term institutional investor into the bargain. One wonders, however, just how long Tencent will continue to treat its hefty overseas investments merely as a way to tie up major deals for the Chinese market. Nobody thinks the company is about to become more predatory in its tactics in the short or medium term; but a more direct interest in the global market and in the performance of its investments does not seem unlikely. That's an expectation driven by the reality of Tencent's position; the company, which is comfortably within the top 10 tech companies by market cap globally, is starting to run out of room to grow within China. Several analysts have pointed to the fact that despite Tencent posting fantastic profit figures in its recent annual results (a record $10.9bn in profit, in fact), the underlying figures show a real slowdown - which isn't unexpected (a billion people use WeChat, which is just about China's entire population; where do you go from there?) 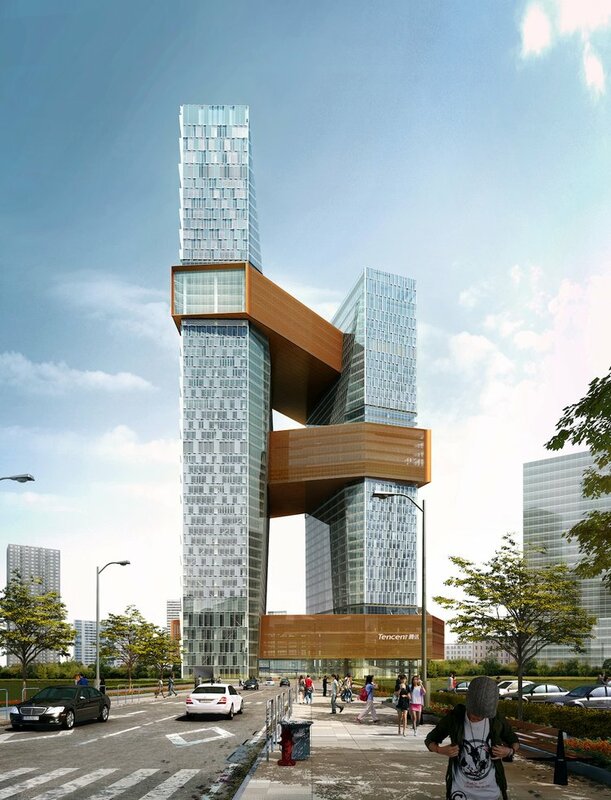 but does present Tencent with an interesting challenge, brought on by the very scale of its own success. A clear answer to that challenge would be to focus more on the area of its business that saw real growth in 2017 - investments in other companies, both in the form of VC-style work with startups and incubators, and in the form of major investments in large firms across the tech sector, with video games just being one of the many areas in which Tencent has been taking large chunks of promising companies. If the giant firm's focus increasingly turns in that direction, it might be expected not only to invest further in video games, but to wish to take a more proactive role in the companies in which it's investing. One other interesting possibility is that it might also try to bring some of its own products and platforms to the West - potentially setting the cat among the pigeons in fields like eSports and online distribution, which Tencent largely dominates within China. For now, however, Tencent seems content to remain the biggest games company most gamers have never heard of - and to slowly build itself up into a position where a surprisingly large proportion of the money flowing through the games business as a whole passes through a pie with Tencent's fingers in it at some point in the transaction. That position has, thus far, been largely benevolent; but it's worth keeping an eye on where one of the largest and quietest companies in games is placing its investments and its efforts over the coming years. The list is long but let’s not forget Miniclip that Tencent bought majority of back in 2015. Anyways, TC’s strategy seems wise so far: letting the Western companies run their own business as they know the Western market better and at the same time bringing their games to China’s huge market. And especially wise is to have their eggs in so many baskets i.e. companies/games seen as rivals. It is like owning part of Coca Cola and Pepsico at the same time.